Professor Carol Espy-Wilson (ECE/ISR) delivered a plenary address for the WISE Inspirations Network at Stanford Speaker Series on January 14, 2016. 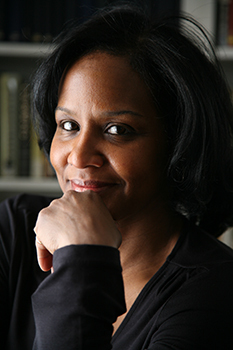 Her talk was titled “Privileging Signal: Listen, Pay Attention and Keep It Moving” with the intent of helping young women to understand that “there is a lot of noise” as they move through their careers and lives, “privileging the signal means give privilege to your calling, pay attention, don’t get distracted by noise,” Espy-Wilson said. This lecture is hosted once a quarter and features stand-out women in science and engineering. Espy-Wilson is an alumnus of the electrical engineering program at Stanford having graduated with her Bachelor’s of Science in Electrical Engineering. Also while visiting, Espy-Wilson met with other faculty, staff, and administrators. “My visit was very fruitful. It was wonderful to see how far the programs at Stanford have come since I was a student there.” She requested a luncheon for graduate students of color so that she could encourage them to heed their calling and continue to move forward with their goals and aspirations. The WISE organizers also connected Espy-Wilson with entrepreneurs in the area who might be interested in her company Omnispeech. The WISE Inspirations Network at Stanford (WINS) aims to create an engaged Stanford network linking women graduate students, postdoctoral scholars, faculty and alumnae in STEM fields, their allies and advocates, through regular meetings and communications. WINS aims to provide all with opportunities to learn from a diverse array of stand-out women in science and engineering abou the realities of their lives and work, successes and lessons learned, and to connect individuals with a network of potential mentors, protégés, and other colleagues.